Fat Loss – The Pros Dish Their Secrets To Shaping Up……What Vitamins And Supplements Do You Include In Your Diet? Multivitamin: These ensure that I am getting all the vitamins I don’t get daily from my food, in order to help me stay strong and healthy. Vitamin C: It helps boost my immune system. I can’t even remember the last time I’ve been sick or missed a day of work! Flaxseed Oil And Fish Oil: Both are a source of essential fatty acids, which help fight heart disease. Plus, they hydrate, keep my skin smooth, and my hair and nails shiny and healthy! Glutamine: it aids in muscle recovery from hard work at the gym, and helps to improve your immune system. These help with the digestion of proteins, fats and carbs. BCAAs: These help with muscular growth and repair; I take them before and after my workouts. What are the benefits of supplementing? My pre-workouts supplement, MHP X-Fit trainer, gets me motivated to move those weights! My supplements get my body running like a well-oiled machine. Every part of my body feels clean, energized and healthy. I can tell a big difference in my mood when I don’t take my supplements. Without them, I feel run down and tired. I use MHP Probolic-SR. I only mix it with water – no fruit. Sometimes, I will add PB2 for a great peanut butter taste, as well as glutamine powder. How do you obtain the lastest information on vitamin, supplement and nutrition research? Visit local nutrition stores and ask the staff what is new on the market, what is new on the market, what people are buying, and what their highest-selling products are. When I attend health expos, I walk around to see what companies are offering, ask questions to gain knowledge, and find out what’s “hot” on the market. Expos offer a good opportunity to ask questions, so don’t hesitate to pipe up! Healthy fats from a variety of sources, like natural but butters, oils and seeds, help keep Svetlana feeling full, her skin glowing and her mental focus sharp. Healthy fats: I use coconut oil, nut butters, flaxseed and fish oils, but my favorite is coconut oil; I find it boosts my metabolism and gives me more energy and endurance during my workouts. Hemp hearts and seeds: Hemp hearts are not only one of the most wholesome source of plant-based protein, they’re also a rich source of essential vitamins, fatty acids and minerals. They possess the perfect 1:3 ratio of omega-3 to omega-6 fatty acids, which the body needs to maintain optimal skin health, energy production, nervous system function, brain development, heart health and immune system support. I sprinkle them over my salad, stir them into my morning oatmeal, and add them to Greek yoghurt, smoothies or protein shakes. Chia seeds: Chia seeds help keep me feeling full for hours with their unique gelling action. They also balance blood sugar, add healthy omega-3 fats to my diet, and are one of nature’s few complete plant-based protein containing all nine essential amino acids. They keep me energized all day long. I like adding them to my oatmeal and fruit smoothies. Ground flaxseed: They are a rich source of omega-3 fatty acids – great for adding to shakes and oatmeal. N.O.- Xplode By BSN: This is a must-have pre-workout. I have used it before every workout for many years. It gives me the energy I need for an intense training session, and makes me feel alert and full of strength. A pre-workout supplement is very important for me so that I can put my best efforts forth in the gym. I am there to work, and I capitalize on every minute I’m there by putting in my all-out effort. Amino X By BSN: I am a huge believer in branched-chain amino acid supplementation. Amino X is critical for building muscle. When I am prepping for a contest and adding more cardio while cutting back calories, this helps prevent muscle loss. Glutamine: This is a must for immune system support and recovery, especially with the amount and intensity of the training I do. Weight training is actually a stress on your body (but a good kind of stress!). Glutamine helps with repair and keeps my immune system functioning well. Vitamin C: This is for overall well-being and beautiful skin; it also helps keep colds away and me in the gym. Digestive Enzymes: They keep my digestive system running smoothly and keep me from feeling bloated, especially with the amount of protein and vegetables I have on a daily basis. 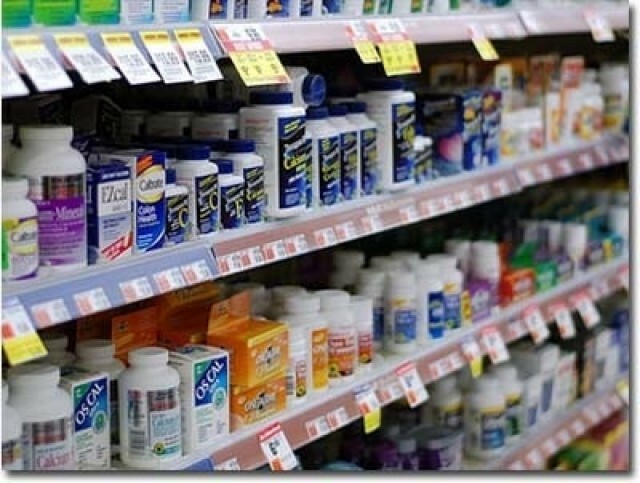 Supplements in general are just that: supplements. They help maximize the hard work you are putting in at the gym, and the vitamins and enzymes help you get the most out of the foods you are putting into your body. In the 10 years that I’ve learned what works for me and keeps everything running smoothly. How do you time your supplements? I break them up throughout the day. I take vitamin C and enzymes with my breakfast, lunch and dinner. I take my pre-workout supplement 20 minutes before my workouts, and the amino acids before during and after training. I take glutamine after training and at bedtime. BSN’s Syntha-6 is my favorite. I look forward to having it. The flavors are amazing and take care of my sweet cravings. I make a peanut butter and jelly shake with strawberry Syntha-6, unsweetened almond milk, frozen strawberries and peanut butter. Yum!